This seemed like a good idea, and was not worth the time. The tone of the program was patronizing and seemed aimed at supposed teenyboppers. The text is for an MBA program. Probably not many teenyboppers are in MBA programs. I would have preferred narration with key points repeated. The inability to burn the program to CD so I could listen to it while doing chores was very irritating. Yes, I have an IPod Shuffle mp3 player. Having headphones on for hours is uncomfortable. Like many other adults with a full set of responsibilities, I prefer study aids that are convenient and save time. This program failed to meet my basic requirements. 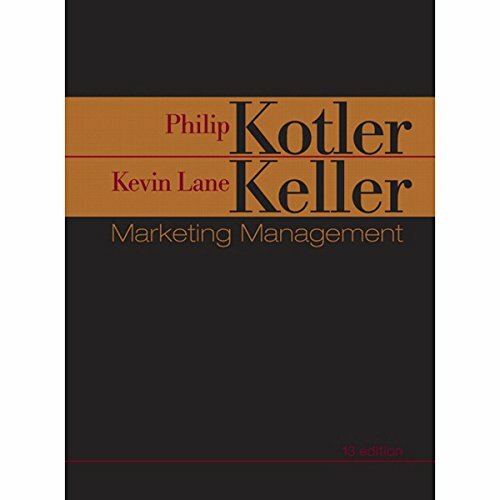 I am currently taking "Advanced Marketing Management" and got this audiobook as a way of studying while unable to sit with the actual textbook. I have to admit that it IS NOT A GOOD REPLACEMENT FOR THE PHYSICAL TEXTBOOK (I can not emphasize that enough) but it seems to help me drill in concepts while at the gym or taking a walk. I kinda wish it was more in-depth and comprehensive but it helps me study. That's enough for me. "Not what I had in mind"
Was hoping for a way to burn a CD and try and use an additional source to pass the time while driving an hour to and from and work. However, this does not allow the ability to burn to a CD. They read the bold print back to you and ask you questions. Spend the same 19 mins with the chapter and a highligher and you'll be better off. Thank for any effort had done . This is my frist experiece , I am never dowenloaded any of this books before . I find it nice way also it's helpful , buy Iwas thinking if that was attach with a PDF file it will be more usfull If this option could be available it would be amazing by the way .